NMCLA offers year-round part time or full time classroom and childcare programs for students between the ages of 2.8 and 6 years. The classroom invites concentration, precision and order in an aesthetically pleasing environment in which the children learn respect and kindness towards one another and the materials around them. We offer a low student to teacher ratio, encouraging maximum learning potential. 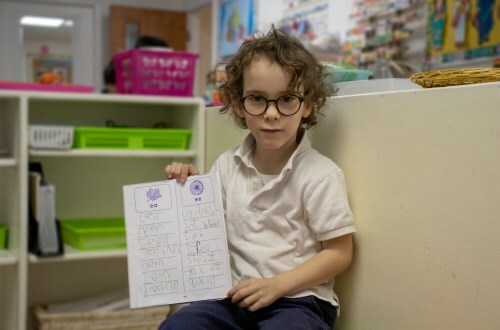 Our program is based on the Montessori method and provides a nurturing environment that helps children develop by letting them learn to be creative, use critical thinking, problem solving and create time management skills. 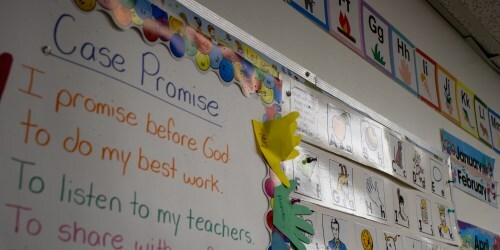 Our focus is nurturing reading, writing, math, sciences, sensorial and life skills at each level of development. 7:30 – 8:45am Extended Before School Care available upon request. 8:45 – 9:00am Arrival time: The Directress greets children and parents at the front door. The children with the help of the directress will place all personal belongings in hall cubbies and change into their indoor shoes. 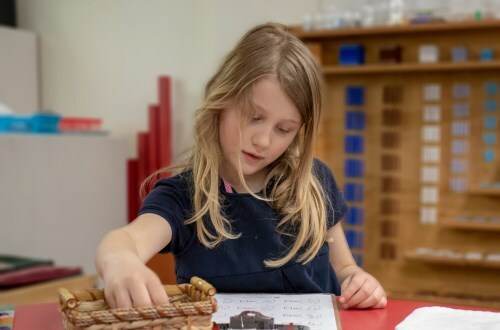 9:30-10:30am Montessori Materials: The children work through the five areas of the classroom: Practical Life, Sensorial, Math, Language and Cultural materials with the guidance and careful observation of the Directresses. 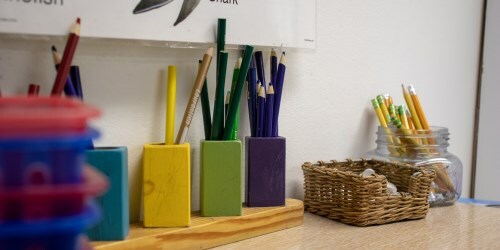 The children are required to work through these five areas of the classroom in order to achieve a well rounded Montessori education. 10:30-10:45am Snack: Children will wash their hands and choose one snack from their lunchbox along with their water bottle. 10:45 – 11:10am Outdoor recess. 11:15 – 11:30am Story time and songs. 12:00pm Dismissal time for half day students. 3:30pm Afternoon dismissal for full day students. 3:30 – 5:00pm Extended After School Care available upon request.